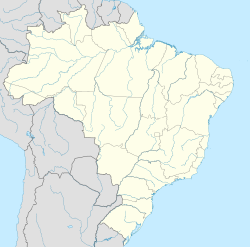 Bom Jardim (Portuguese pronunciation: [ˈbõ(w) ʒaʁˈdʒĩ]) is a municipality located in the Brazilian state of Rio de Janeiro. Its population was 23,917 (2005) and its area is 385 km². The municipality contains part of the Central Rio de Janeiro Atlantic Forest Mosaic, created in 2006. This page was last edited on 14 January 2018, at 01:12 (UTC).